Home Articles It's the best year of your life - until the next one comes along! This article was written by Chloë Rose, published on 24th November 2014 and has been read 3512 times. 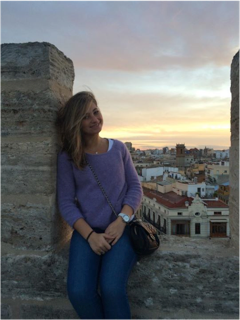 Chloë Rose is a University of Birmingham student of English Literature and Hispanic Studies and is spending her year abroad in Granada. In this piece she examines the oft-repeated idea that the year abroad will be the &apos;best year of your life&apos;. Check out her blog for more info! 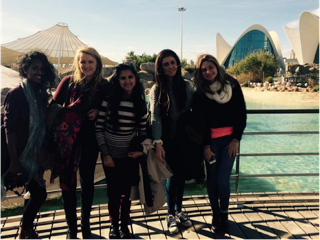 Here’s the thing about your year abroad that no one wants to tell you. It’s not always going to be the best year of your life. I know that’s the trope we’re all used to hearing about our year abroad, and maybe we do fly out to these far off places in the full belief that it’s going to be that ‘best year’. But the truth is, it’s not always going to be the best. I saw someone say today that the year abroad is ‘a marathon, not a sprint’. This could not be truer. The fact is, this year has had more peaks and troughs than I could count and I’ve been here for less than three months. But we try and keep that as hush-hush as possible, because let’s be honest, no-one wants to read on your blog about how awful the classes are when you can’t understand, or how you can’t find Heinz beans in Hipercor. And frankly after seeing all that, who wouldn’t think you’re having the time of your life? So where is this ramble leading to? But the truth of the matter is, even though I’ve had those down days, I know the peaks will come again. And this time next year I’ll be able to look back on my year abroad photos and blog with a huge smile and remember all the amazing times I had. And those moments, struggling with vocab or being homesick… those moments will be a distant memory.